Dope ish!!!! 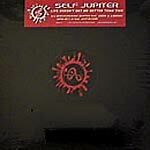 Freestyle Fellowship were the innovators and Self Jupiter is one of them. This track is one of the coolest songs that I've ever heard. Jupiter also has Jizzm, J-Smoov and Aceyalone joining teams on this single. Pick it up.